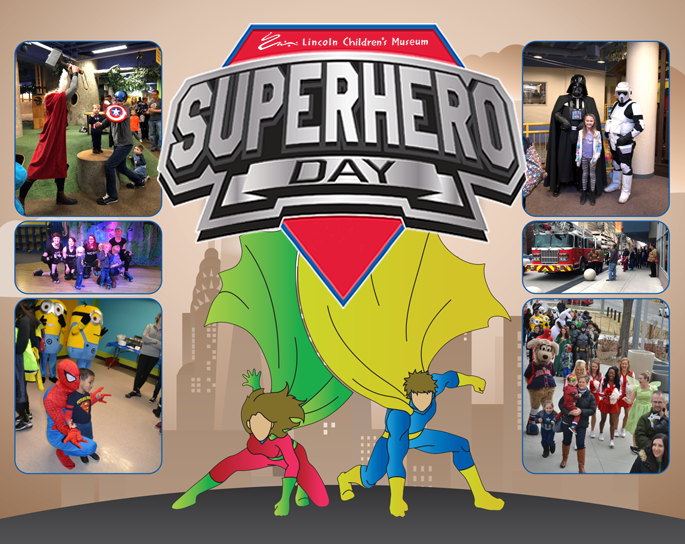 Dust off your cape, grab your favorite mask and get ready because, Super Hero Day is back and bigger than ever! With local and comic heroes from all around, this is one event you don't want to miss! New This Year: Super Hero Day will be an evening event from 6:00 - 8:00 pm, with an exclusive preview hour for Members Only from 5:00 - 6:00 pm.